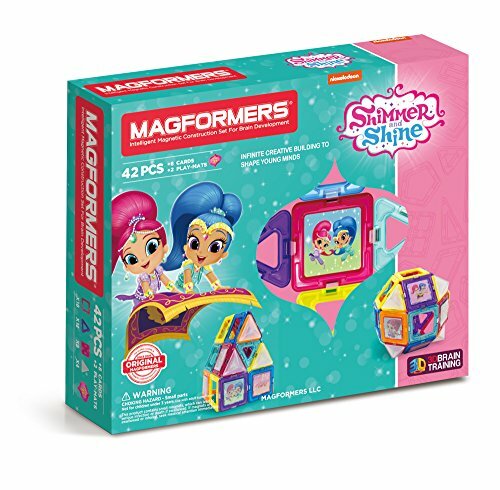 MAGFORMERS Shimmer and Shine Set (42 Piece) ONLY $25.49! Score a GREAT DEAL on the MAGFORMERS Shimmer and Shine Set (42 Piece) today for only $25.49 (was $49.99) from Amazon! You will get FREE Shipping if you are a Prime member! Checkout more of the best Amazon prime deals we’ve found.If you are not an Amazon Prime member you can grab a FREE 30-Day Trial HERE! Get all of the Deal Details BELOW! Boom Zahramay! Are you ready to build and create? 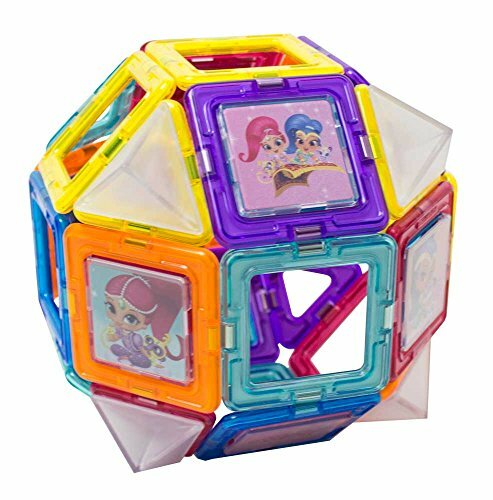 Construct Shimmer and Shine Genie Lamps, balls and more with Magformers new 42Pc Set. Follow along with 8 idea mats to build your Magformers from 2D to 3D. Connect Genie Jewels and watch your ideas sparkle. Add your 8 favorite double-sided character cards including Shimmer and Shine, Nahal, Tala, Zac & Leah. Each geometric shape contains magnets that never reject, so you’ll always hear the Magformers click. All Magformers are interchangeable and playtime is over, use the magnetic power to simply stack and store. Don’t miss this deal at Amazon Today on the MAGFORMERS Shimmer and Shine Set (42 Piece) for only $25.49! Checkout more of the best Amazon deals we’ve found. Previous Post: SmartSource Insert Scan for 10/29/17 ~ BROWSE all 18 Pages! Next Post: Pyrex 13pc Bake and Storage Set ONLY $23.99 (reg. $59.99)!